Looking for performance testing and advice? Get to know CTF Members Aparna and Pinakin from APN Performance Testing. Aparna is usually the first point of contact for customers assisting them with their testing enquiries. Aparna worked with RMIT Textile Testing for nearly the last two decades with first-hand experience in textile and garment testing, assisting customers with their enquiries, generating test reports and laboratory quality assurance. Aparna is supported on an as required basis by Pinakin, Senior Tech Consultant. 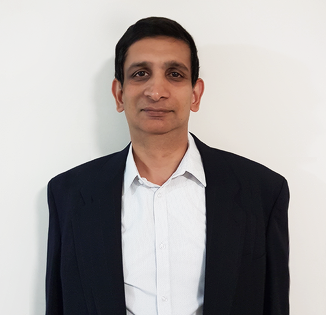 He is a fully qualified textile and materials engineer and technologist with long experience across testing and evaluation, new product development and quality management. What drew us to the industry was a pronounced lack of independent technical expertise available to the TCF industry. Hence we often say, “Your Products + Our Expertise = Competitive Advantage”. APN Performance Testing is an independent testing services provider. We help our clients choose the correct test protocol to suit your business needs, arrange to conduct testing and provide interpretation of test results. We also assist with care labelling and are able to conduct every objective evaluation test on textiles, clothing, personal protective equipment, leather, footwear and allied products. Our partner laboratories are ISO 17025 accredited, making our test reports accepted across the world. This also ensures that technical accuracy, consistency and repeatability underpin the work we perform. APN offers our five decades of combined experience to the TCF industry – a great resource when developing new products and markets, assessing new sourcing possibilities, testing compliance or value-for-money, or when you simply have a technical query. The service offered is fully independent and unbiased. With three test packages on offer – Express, Standard and No Rush – you get to choose the right balance between service speed and cost. Recently we helped a small business choose the most appropriate fabric for a specialty clothing application. We also assisted them in negotiating the most consistent supply of their product from overseas by generating performance specifications and quality assurance plan. A large sized client benefited from our expertise in generating customised test protocol for materials that claim to safeguard human fertility. The work saved them tens of thousands of dollars! We regularly conduct work so as to assist our clients with what their care label needs to read. We have been impressed with the number of new product development, quality and testing enquiries we have been receiving since we opened for business. We would invite the local textile and fashion industry to make us their go to’s for any new and innovative materials, product development, quality and of course, testing and care label related enquiries. Our clients are charged only for the work we undertake on their behalf. Often, we are told that our advice is free but priceless!